I LOVE this time of year as the leaves transition from green to all different shades of red, orange, yellow, and brown, as we all begin to take out our warm jerseys and scarves, and we get to breathe in the air that has a crispness to it. The change in seasons is always great, signalling new things and allowing us to reflect on those that have passed. Now as much as I dislike Winter up here in the Northern hemisphere (the short, dark days can get pretty bleak at times), I really do love Autumn and all the beauty that it brings along with it. 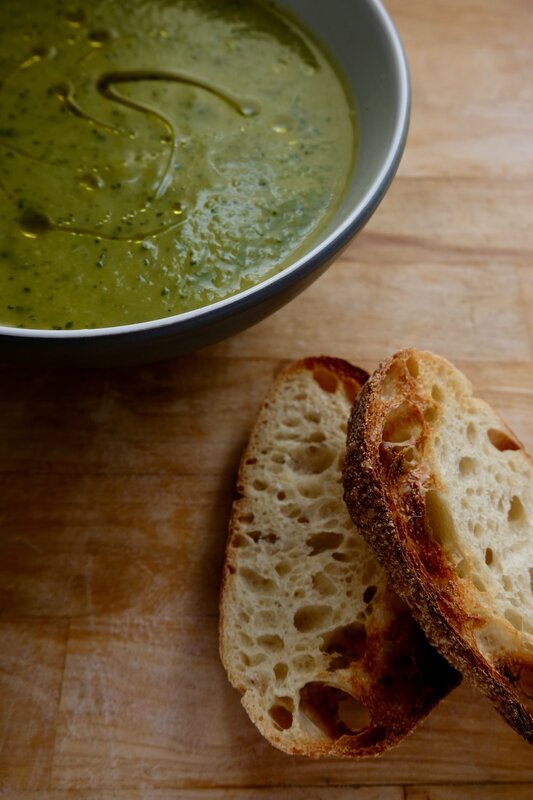 I thought that it would be a good idea to start experimenting with new soups so that I am prepared for the colder months ahead, starting with this delicious Creamy Zucchini Soup. Enjoy! 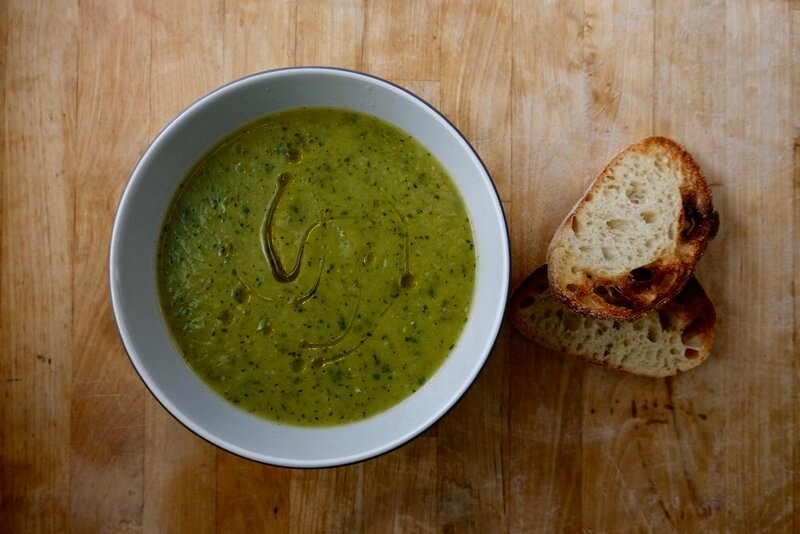 A nourishing, creamy soup that will help you get in those greens and warm up your belly at the same time. Place a pot over medium-high heat.Add olive oil, onion, and a pinch of salt and cook, stirring occasionally, for about 5 mins. Add the garlic, zucchini, and stock to the pot. Bring to a boil, then reduce to a simmer. Cook for 15 mins, stirring occasionally. Use a hand-held immersion blender to blend everything together until it is nice and smooth. If you don't have a hand-held blender, blend everything in batches using a normal blender or food processor until very smooth. Return the puréed soup to the pot. Season with salt and pepper to taste. Serve hot with toasted sourdough and a dollop of Greek yoghurt if desired.